2015 has certainly been a very exciting year for gadget-lovers so far. While a number of new tech companies have come up with some really exciting stuff, old players are striving with outside-the-box thinking to introduce the killer gadgets. Below we look at some of the coolest gadgets for 2015 and why everyone would love to have them. Once you’re past 40, the body’s metabolism slows down; you feel sluggish, gain weight, but most of all your body stops producing much-needed collagen. Many of us start seeing crows’ feet, with prominent laughter lines around the eyes which are often further highlighted by bags under the eyes. Unfortunately,most of the things we can do to reverse the process involve expensive ‘miracle’ potions or surgery, and there are very few household tools that we can use to achieveresults. 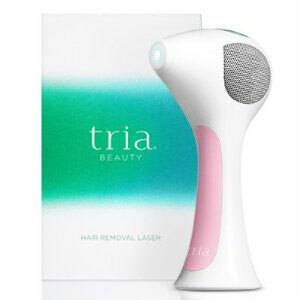 TheTria Laser promises to be your go-to anti-aging tool. The gadget uses multiple beams of light,which hit the targeted areas causing cellular disruption at a microscopic level. Our bodies heal this disruption, which in turn reduces the lines. Of course, it does not erase them completely, so it helps to already have good skin. It probably works best on people who are just beginning to see lines and bags on their face, not for those well into their sixties. It has to be used a few minutes daily for visible changes in radiance, smoothness and clarity. What happens when you’re without electricity and your gadget (iPhone, iPad, Android device) is almost dead? This can be the case when on an outdoor excursionorif you’re caught up in the aftermath of a natural disaster. There are many US cities where the power will go down for up to 62 hours owing to a hurricane, flood or other type of natural disaster. In order to ensure that you’re still connected to the outside world, your devices need to be properly charged. 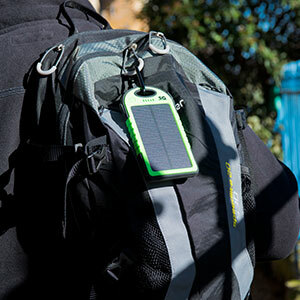 This is where Stunning Gadgets’ Solar Battery Charger comes in, which is unlike any other. To start with, Stunning Gadget’s charger has a built in 5000mAh battery which can charge two devices at the same time. The highly efficient panels convert sunlight into electricity, which charges the device’s internal battery enabling it to deliver enough charge to get things running for a couple of hours. So, you never have to worry about not being connected to the grid. In addition, like all other gadgets by Stunning Gadgets, this one is made to be tough and portable. This is one of the best Panasonic DSLRs on the market today. It is built to be durable and it makes taking great photographs very easy. While the camera is not out yet, we are led to expect 4K photographs and 4K video. This unique feature allows users to extract a high-resolution photo from within 4K video. 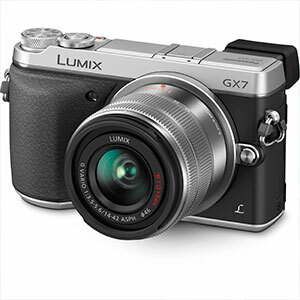 The LUMIX G7 offers great flexibility, as it currentlyhas up to 24 lens options, with more coming soon. Panasonic has said that the camera will be able to benefit from what it calls “next generation lenses”, which are interchangeable and are designed with 4K in mind. Designed, manufactured and sold by Stunning Gadgets, some may label the Pocket Chainsaw as a survival gadget but in fact it is an all-purpose cutting tool. How many of us have needed to clear a window of branches from the tree next door, or perhaps prepare a few logs to start a campfire? If you’ve ever been tasked with this,it’s safe to say that it’s difficult unless you are a professional carpenter with a high-quality cutting saw. The Pocket Chainsaw has been designed to make it very easy for anyone to cut any size or type of wood. It hashigh-grade steel cutting teeth and easy-grip extendable handles which mean it can be used to cut wood well above head height while your feet remain firmly on the ground. The durable design, compact size and light weight make it easy to slip into your pocket or backpack. 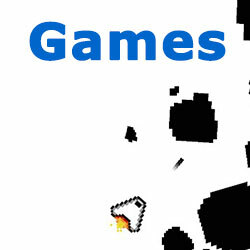 An excellent tool to have around the house or take on camping trips. 2015 is without a doubt the year when smart watches are the next big thing. When major manufacturers like Apple introduce their version of the future, it’s safe to say that the technology is taking off. But while high-tech smart watches are the flavor of the month, there are many people who prefer more traditional-type watches. 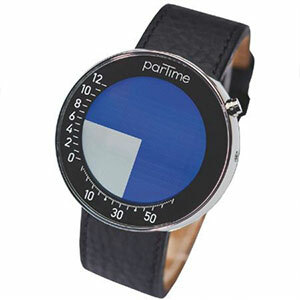 One example of ‘tech meets tradition’ is Partime, a young brand in Zurich which has signed a deal with Swiss International Airlines to deliver its range of new designs this summer. The watches are said to be so special that they can only be purchased when at an altitude of 10,000 meters. Plus their small numbers mean that these are limited to only Swiss Air passengers. The watch itself sports a 45mm polished stainless steel case. It’s waterproof, has an LCD screen with digital time display and a battery life of 2 years. Though a price has yet to be mentioned,it’s certainly going to be expensive and possibly one of the coolest gadgets for 2015.